KC & The Giggleman Gang: Let's Cellybrate Cinco de Mayo! 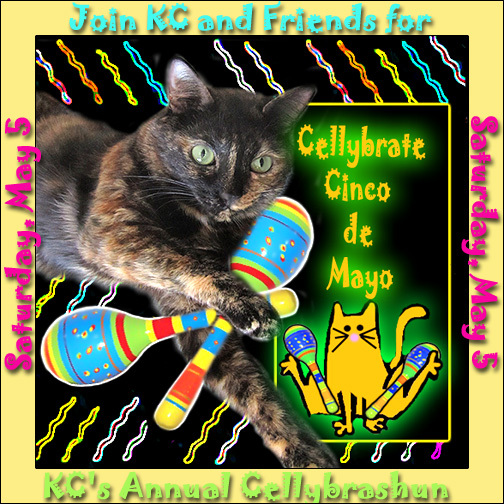 Let's Cellybrate Cinco de Mayo! in lovely way out west Houston, Texas. who is our Guest of Honor for this year! Looks like hers brought a few furriends wif her. 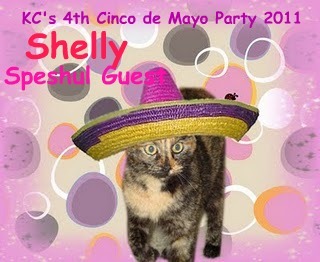 Iffen you remember, last year was Shelly's furrst Cinco de Mayo party and hers was our guest of honor. Shelly did an excellent post on Cinco de Mayo on her bloggie. As we did last year, we's haffing a contest! We's offering surprise gifts to five lucky commenters! Fifth anniversary = five winners! Just come party wif us an leaf comments. 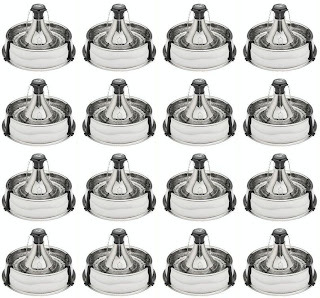 We will randomly select five comments Sunday, 5/6/2011. Shipping is free to those within the contiguous US. 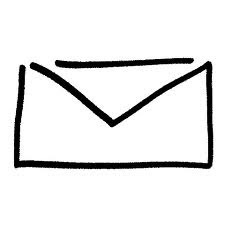 let us know when we contact you. Otherwise we will move on to the next commenter. ... or a tasty shot of LizQuila! ... and a bunch of Catnip! We's starting wif an early breakfast, just grab a plate and fill it up. New this year is a tasty Bison roast. Served furry rare. Yum. 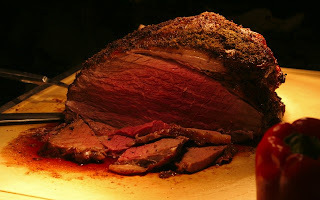 Just like last year, our grills a going and we's gotted real live dead ham, roast chick-hens, steaks, an fresh fishies! Trays piled high wif crisp roasted lizards... crunch, crunch, crunch! 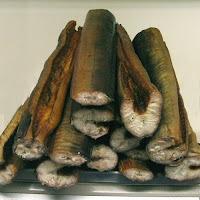 Also a past year's favorite, totally kitty comfort food... chewy eel steaks. And I was able to get more LIVE eels. Double yum. Crunch, crunch, crunch! 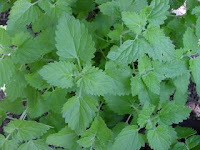 Back by popular demand, we haf a superbly roast duck with catmint. And a huge yummy Roast Beast. 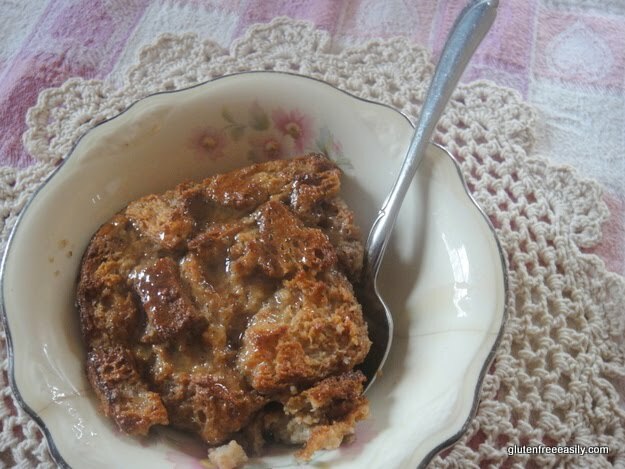 with a side of warm and crunchy mouse puddin! For the kittens, or any age cat, we haf bowls of heavy thick cream. a Yeowww Nip Nanna. These are from Baby Patches' Nip & Bones excellent shop. We've got plenty to go around! 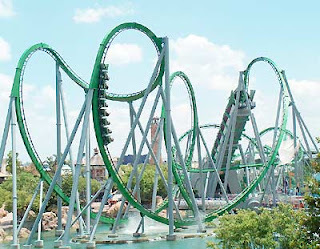 tha hugest roller coaster effur. Umm, we might want to wait a while after eating before going on that...! so we can enjoy conversashun up high in the sky. Also a great place fur a nap or two. Great view for the Fireworks Extravaganza later tonight. 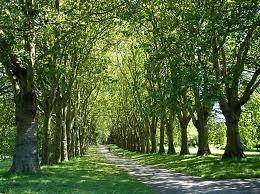 There's lots and lots of trees to climb, an a specshul nap area way up in tha trees. As usual, we haf The Snakey Woods. And this year them snakes is really lively after tha long long drought. Happy Hunting. 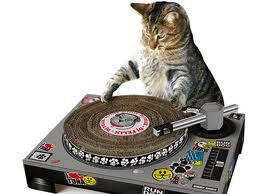 an a DJ up front if you's purr-furr sumfing a little less traditional. Stop by the Taylor CatSSSSS to hear "Pico de Gallo" by Trout Fishing In America. 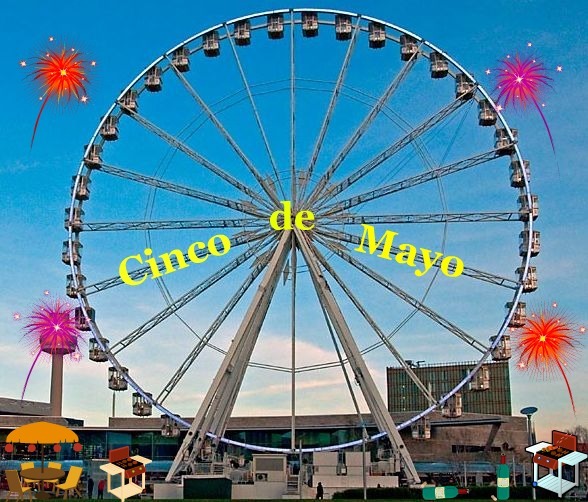 It's one of our favorite songs and a Cinco de Mayo tradishun. 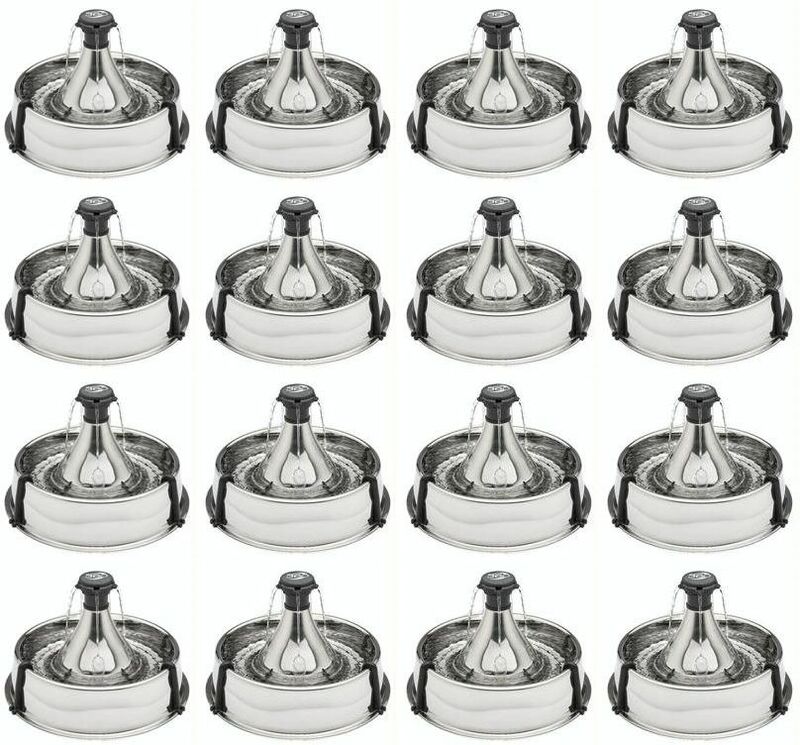 row upon row of sparkling silver (akshully stainless steel) fountains with pure water. Litterboxes are out behind tha trees in a thickly wooded sekluded area. Be sure to take a badge home wif you. 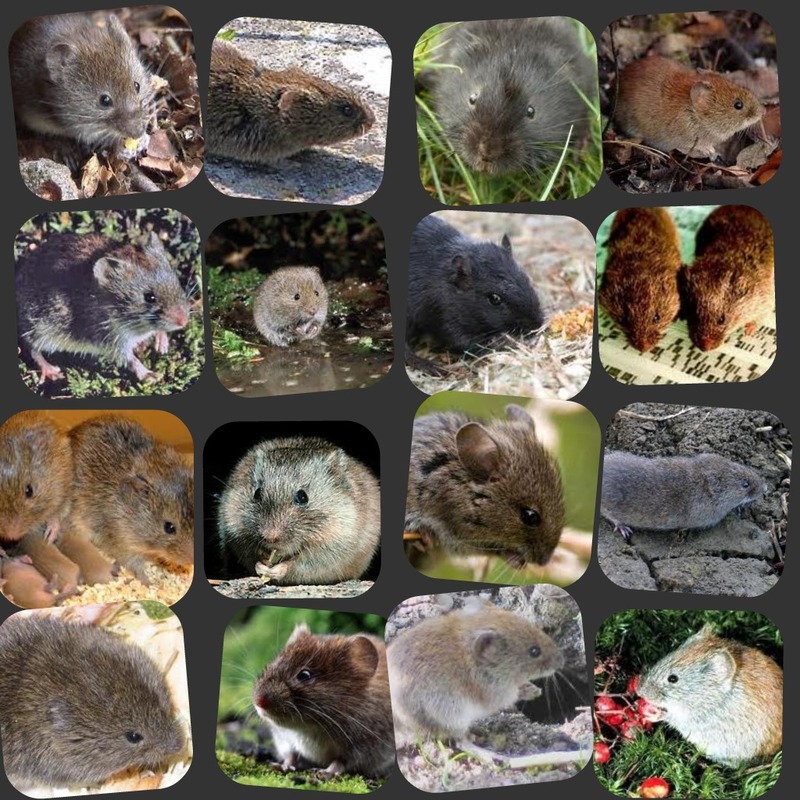 Pleeze note that these are just a few of the 46 and counting Voles that are present wif us today. They find it hard to sit still to haf theirs pickshures taken. Remember, do not harm ours furriendly voles!!! But don't leaf yet, the best is yet to come. 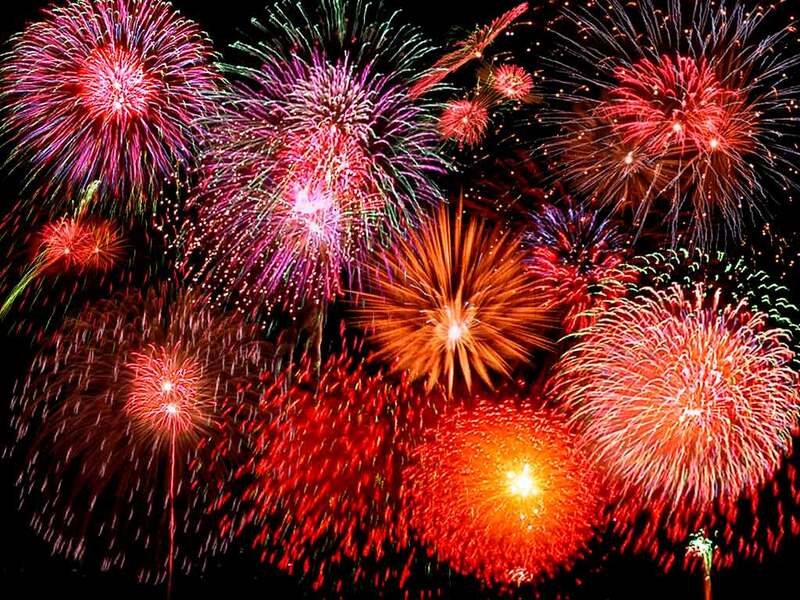 The beautiful firey fireworks shows will be scheduled effurry hour all tha way until dawn!!!!! It seems most of us haf gathered here on top of the Biggie Ferris Wheel. Zippy's new vershun of Tha Hat Dance, which premiered in 2011, is now a new tradishun for our Cinco de Mayo party! We's opened the CATNIP BAR up here as well. There is still plenty to eat from tha food bar. And broke out the best Lizz-Quila for tha last hours of Cinco de Mayo! So pass those bottles around to effurryone! Nip Cigars for each and effurrycat. Tha kittens are all tucked into their beddies high in the trees to watch tha fireworks. They haf lovely creme brulee drinks and warm mouse and sugar cookies. Late tonight or tomorrow morning, before you go, take a whack at one of the pinatas. 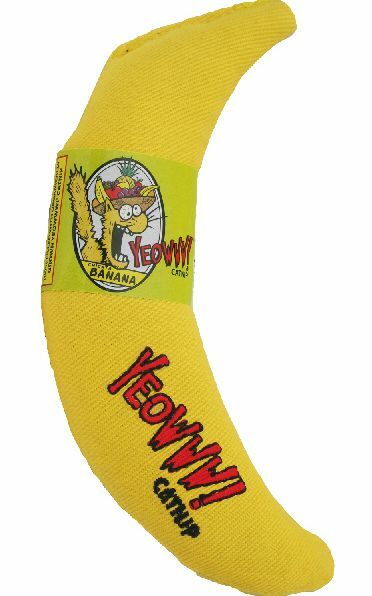 nip nannas, bunny kickers plus a few surprises. We's also gotted specshul pinatas fur tha woofies, buns, hampsters and tha donkeys. and when the sun starts to set, settle down and watch the beautiful fireworks. Feliz Cinco de May, from allofus to allofyou! I am ready to party! Me is in my tunnel and on my way1 mes not waiting for Kozmo, he can come by himself later! Me LOVES Cinco De Mayo! We are soooo ready to party & this is gonna be a great one!! What an awesome party! I have never had lizquila before! You have really outdone yourselves this time around! We'll chow down and then maybe nap a bit or ride tha ginormous ferris wheel. Whoa - you've got it all! You sure know how ta haf a good time! The lady's gotta go to bed now cuz of work in the morning, so we're gonna hang out here and party wif efurrybody. This party is going to ROCK! Those eels look especially lively and enticing! This is going to be a great day!!!!! 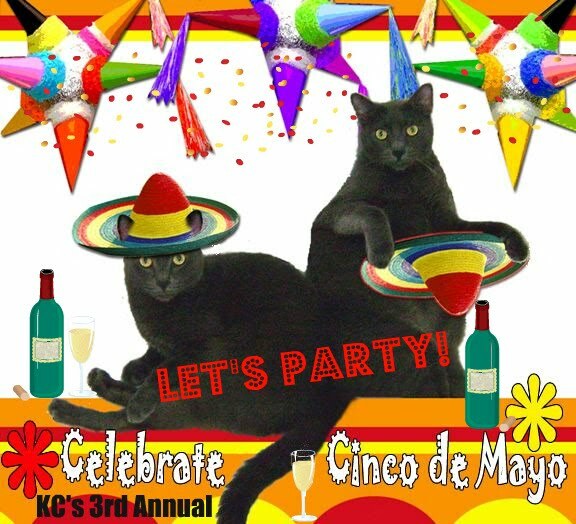 We are so excited about celebrating our very first Cinco de Mayo of our lives and with our CB furriends. WOW!! We are ready to party till the sun goes down and then some!! We are HERE!!. 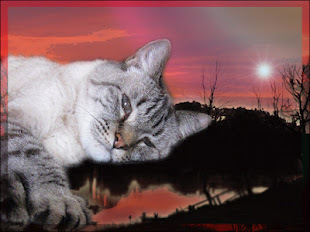 Smokey, It is really early here wanna go snuggly on Aunt Judi and then we can play with the voles later. Wow, this is a fantastic party, surely the best ever! We hope we can join you, even though our mom didn't do a post for us today...just kind of a roller coaster week for her. But if we're still welcome, we'd love to celebrate with you all! Oh Wow, this looks like such a great party. We are going to dig in right away. What a wonderful wonderful idea to make it in honor of Judi. That is just perfect. 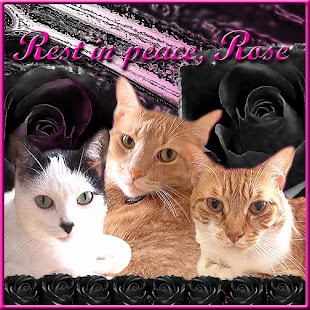 We are purring and praying for her. We have a donkey on our post. Take care. WooooHoooooo, I am here and soooo ready to parteeeeee! Happy Cinco de Mayo to all! Your party is always so much fun and we have so much to celebrate this year. Purrs for Judy, what a lovely idea to throw the party in her honor. For years, we've heard about your Cinco de Mayo party and seen the pictures of all the great food and such, but we have never been able to join all of you. This year is different! Our mommy said we can come and party with all of you and she'll pop over later to take us home. We had to promise to behave, so if Runt starts dancing on the tables, please don't tell mommy. We can hardly wait to try all the good eats and to ride the roller coaster! And we think the idea of making JudiBug guest of honor is excellent! So, salud and gracias for having us! What a GREAT Cinco de Mayo Party ! Looks like it's another great party. Not sure about the roller coaster, but the ferris wheel looks like fun. Boy, are we ready to party! Mom said we can stay as long as we like or until we get kicked out! MOL! What a great party, but we're going to pass on the live eels... eww!!!!! WE'RE HERE!!! 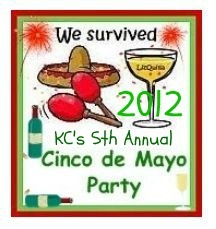 WHOO HOO....KC always has the best parties! Hmm.....what to drink first....oh well....it is 5:00 somewhere...right???? Sam.....you have to share those nip nanas.....you can't have them all!!! Feliz Cinco De Mayo!!!!!! Tienen un gran tiempo todos!!!!!! He shove a nice refreshing Meow-Garitia at her, and says..."Don't question, just eat, it's delicious....trust me....and wash it down with THIS!" Thanks for hosting this wonderful party, KC! I think all of us are ready to help you celebrate. We are here, let the party get started! Lot of foods and fun things to do. Plus all of our furiends! We're coming, too! We've got some lobster and clams for everyone who likes those. We came to party and to honor Aunt JudiBug. Now, where's the nip? Happy Cinco de Mayo from the Horde at The Katnip Lounge! ELVIRA: "Hey everybody, guess what! Daddy found a copy of the, HIC! Kama Sutra For Cats! Hic!, Um, sorry, escuse me!" Nikita: "OK, young lady, that's enough for you, and OUT of you! Time for us to go, you need to sober up, because we need to help Daddy, with his important moving planning that KC mentioned on Thursday at The CB." ELVIRA: "But I wanna tell evybody bout the Bhig Offendi, and A Journey in Chilyafahni, and the Mountains of Feathery Snow! Hic! I wanna!" ELVIRA: "Old Geezer! Yer no fun at all!" I should send my Uncle Bob cat and my Aunt Betty cat over to party with y'all. Do you have any shrimps with grits? We're here and ready to Cellebrate Cinco de Mayo! The noms are amazing and the meowgaritas are furry refreshing!!!! Happy Minco de Cayo! *erp* jussssa mintuez; um... oh, pass me that wormy worm k? Oof! Good think im not drivn! Great pawwty! PSsssSSSST! Dont let the Ornj mutants from my house haz any of dad niptini stuffs! They is wayaaaay underages. Bof of dem! Pawsome party! Ritzi makes for the chow line to sample all the goodies, not greedy at all then makes a beeline for the catnip, her favorite to roll in. We's getting some shrimps and grits cooked right up, please send Uncle Bob and Aunt Betty right over. Yum, that sounds so yummy. Derby, this is a specshul day fur you, too, isn't it! It's Derby Day! Party on, anyone fur tha rollie-coaster???? Where is Persephone??? And where is handsome Jack? This is such a pawsome party! Thank you for inviting us. Woohoo for live eels ... NOMMY. Happy Cinco de Mayo !!!!! WE are having so much fun at your party! Party till the sun comes up, tomorrow! 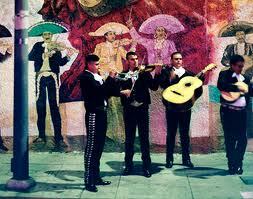 Is that mariachi music I hear. Smokey do you wanna dance? Pretty Pixel, you are the most loverly lady cat here today. "I still have a very keen sense of smell, and I smelled a deeeee-licious concoction of real live dead ham, roast chick-hens AND DUCK?! 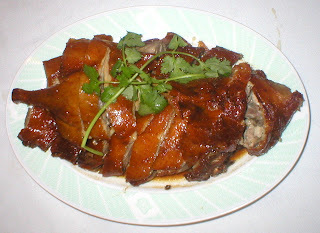 DUCK!! Oh My Bast!! I have a handsome appetite, so says QM, almost as handsome as I am, and I still am as vain as ever, since I still groom and primp myself for when Samantha, Boo, Marigold and various LadyCats of the CB Teleport over to visit. As ever the Gentleman as Angel Mom Cathy taught me to be, I try my best to not cause any ruffled furs and show gratitude for all the affection. This is my first year at your Cinco de Meowo bash! It looks like a good time. Derby Day, or Darby Day, is furry impawtant to our own Derby. His Gotcha Day is coming up on the 7th and the running of the horsies is where he gets his name. And we's so glad to see Gentleman Beau up and about and charming all the ladies. Happy Cinco de Mayo to all of you. 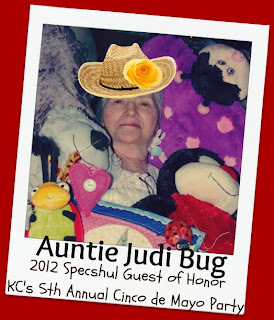 This is the best party ever and a wonderful idea to hold it in honour of JudiBug. We are going to tuck in to the delicious food and then we are having a go on the Ferris Wheel. Happy Cinco de Mayo! I am ready for everything, but Spyro is a little overwhelmed. I am sure that he will join right in on the vole chase, though. We are here! Feliz Cinco de Mayo! What a Fiesta! You did an excellent job throwing this party. We will definitely need a big siesta tomorrow. Hmmm...We came back to check in on the festivities, but Beau was a little upset - where is his comment? 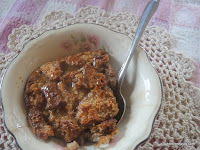 Blogger behaving badly? Beau is now tucked in for the night and I shant trouble him any with this nasty omission. He did have a lovely time while he was here. This is the most fun I effur had on Conco de Mayo! I've had so many meowgaritas, I don't think I can be trusted to chase the voles without making one into a snack, so I think I'll just sit here by CK and rest my eyes for a few minutes! Happy Cinco de Mayo, KC and the Gang!!! ...I'll take a vole please. But hold the eel. We's not sure what happened to Gentleman Beau's comments, but him was very much here earlier to the delight of all the lady cats in attendance. Hopefully it was just a Blogger error. Beau and The Royals are welcome at all our events. 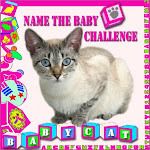 And tell Beau that he is entered in the contest, two times now, for two comments. Hey, we're here for the Stinky Mayo...no wait...that's Cinco de Mayo party! Wow, you've outdone yourself, KC. Everything look great and what a fabulous buffet table. Let's start with some meowgaritas and some of those shrimps, then we'll dance the night away!! Samba, do not be rude. That was nasty. My darling Smokey and his family had thrown this great party. I think you may have eaten and drank to much. Smokey you dance so well ( smiles) You are the most handsomeness. Wanna rest some more or snuggle on the ferris wheel? Wow, this party is awesome! The noms, drinks and entertainment are amazing! The warm mouse and sugar cookies sound absolutely delish! Happy Cinco de Mayo! Whoohoo! What a fun party!! Thanks for hosting it again! Happy Cinco de Mayo, amigos! OMC what a party! Guess what? Cecillia is back home with us so she was just in time to join us before we teleported over to the party! Woo hoo! Mom says we can't ride the roller coaster until an hour after we've feasted...don't want to urp all over your home! MOL Fun, Food, and music! We've never had roasted lizard before, yum! Then we filled up on our favorite duck, toddled over to the niptini bar, then there was the vole chase! What a party! Thanks KC for a fantastic 5th of May! We have to leave but before we go, we just want to thank you for having such a wonderful party and letting us come. We absolutely enjoyed every minute we spent here and mommy had to free the vole that Runt wanted to take home with him. Adios, amigos! and mucho gracias. Hope you had a great day and lots of FELIZ momentos! We came back for the night time activities!! We're going to chase those voles and then hang out at the catnip bar and watch the fireworks!! This was a pawsome cellybration!! Happy Cinco de Mayo ! Oh what a party! Purrs! Jack: Such a great party! Just like always! Hey KC! Would you like to ride the ferris wheel and watch the super-moon with me? Tenzing: Hey lady-cats! Check out my fez! Is Gracie here? Lancelot: I haz maracles!! See? ::shakeshakeshake:: NO, Tenzing, MY maracles! GRRRRRRRRRRRRRRRRRR!!!!! ::drag drag drag:: Hey, is that fuds???? Who are all dese cats???? Jack: It's a *party*, Lancelot! We *told* you! Lots of cats! All together! *SHARING* stuff! Of course, Jack, I saved tha top seat just fur us two. Tia: Wow, what a night, KC! I'm feeling a bit the worse for wear this morning after all that nip, but that night was the bestest ever!Specially cuz you'd so thoughtfully arranged to have the kittens taken care of! I could really let my fur down for the first time in ages! Millie: Wowowowowowowowow! Kc, that was the coolest party ever in the whole universe! And I winned lots and lotsa things from the big smacky thing that spitted out treats and toys and lotsa coooool stuffs! And my mummycat says I don't even hafta share cuz there's nobody else to share with and she's got her own stuffs too. And the cookies were yummy! My mummycat's booooooooring. She never lets me have cookies afore bedtime, so it was a real treat! And tha baby's soooooo much fun to play with! Oh, if there's a mess in the kitten bedroom, it wasn't us, nope, no sir! We just went to sleep like good little kittens, right, babycat? Brilliant party - love those photos. 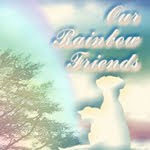 Thanks also for publicising Kizzie's post about rehoming costs.